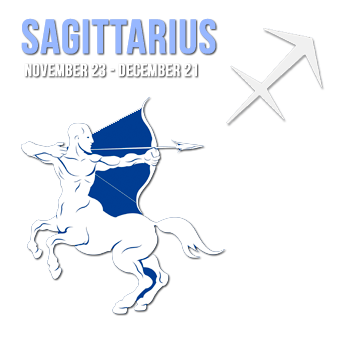 Sagittarius individuals are extremely positive people, full of energy, adventurousness, enterprising, versatile and ever so eager to push boundaries. Travel? Exploration? Movement? Move over, let Sagittarius in! Do you want to hear the plain, unvarnished truth? This sign is blatantly honest and your best choice. Underdogs can count on this sign to fight for their cause and be undyingly loyal. This ninth sign of the Zodiac can be religious, highly moral overemphasizing the ethical codes they follow. Negatively, they can be rigid, unloving and intolerant of anything but the strict codes they adhere to. They can sometimes only pay lip service to religious beliefs or political affiliations when they feel they have been let down, only participating because the outward forms satisfy their need for an advantage. This sign can range as widely mentally as physically and they mostly equipped with foresight and judgement. Witty conversation is their forte and new projects are a must because they have an urge to understand new concepts as well as to discover what's over the next hill. Better at adapting than inventing, Sagittarius individuals are at their best when working with colleagues of differing characters that compliment their own. Strong-willed, good organizers they have the ability to successfully conclude projects with good resource management. Sagittarius' innate restlessness may lead them to make some unconventional alliances. If their marriage is a success, they will be ardently faithful spouses, indulging their offspring and bringing joy to all. However, they need to feel free and their restlessness can be their undoing. They are often faced with a conflict between their love of spouse and family and fulfilling their need for a deep commitment to their careers. In other personal relationships they are reliable, not often betraying trust given to them. They can be impulsively angry and know how to be outspoken and exactly what words will hurt their adversaries the most. They can be magnanimous in forgiving offenses and are responsible when looking after the elderly in the family. Because of their sharp minds and wide range of abilities, they are natural teachers, philosophers, churchmen, scientists, lawyers, politicians, social administrators, public relations and advertising magnates. Travel and exploration appeal to the restless soul of Sagittarius. You will find many in the armed forces and as the favored sign of the traveling salesman. Sports appeal to these individuals and you will find them equally distributed on the playing field as well as on the couch in front of the wide-screen TV rooting their favorite team on to victory. It's also possible that your favorite bookmaker was born under this sign. Races of any kind, on foot, hooves or tires make a Sagittarius' blood move and if not in the race itself, they are ardently behind the scenes as owner, pit crew or coach. Some vices to which Sagittarius is prone are: anger - they tend to flare up over trifles; impatience - they want to rush every new project through immediately and demand too much of co-workers who can't work at the pace they require; scorn - of their perceived inadequacies of others while expecting generous recognition of their own efforts. They may deserve recognition on the work front because in completing a major project they sacrifice health and family relationships while in their family's eyes they may merit denunciation.